Why did you bother sending me the trade offer for me? ;)I was going to ask you it anyways. Still thanks for the metals. Ach, I get that feeling all the time, especially feeling dumb about it. Hopefully, we'll get a better grasp on things as we mature and learn more through experiences and the like. Hey dude, could you please unblock me ? Yeah, I suppose so; I'm probably just worrying too much. Although, if you want to talk more about it, please don't hesitate to do so. I don't mind adds on Steam if you're interested, but hey, you do what you want. Again, I hope the best for you! I can only imagine what it's like to see your friends (presumably) everyday, for years, only to have the relationships dip as a direct result. And yet, I constantly fear that something similar might happen if I try to connect with more people beyond "small talk" (that is: relationships spark, go well for a bit, then die off like nothing happened. Maybe I'm misunderstanding something you said, in which case I apologize). Possibly it's just my anxiety talking, but even so it's daily an arduous struggle. Hopefully there is a way out for both of us. Ah, that sounds all too familiar. I lost most of my initial friends between high school and college; it was very hard to deal (long-story-short lots of self-loathing and anxiety). Now I'm just trying to hold onto the few that I still have :/ I hope one day you find someone that really connects with you. I'm very glad to hear that; I don't want to force you to do anything, but if you feel like talking about something, I'm here. I hope things continue to get better for you. I hope I'm not bothering you by asking: How are you? I don't have anything against your raffles nor you personaly. It was just my first reaction when I saw that picture. Sorry if I made anyone feel bad while doing so. Please know you're always welcome here, and I doubt many members of the community minded your later raffles, at least I didn't. It helps to talk about your problems instead of bottle them up. Hopefully you're doing alright, and I'll always consider you a friend even if I'm terrible at keeping in touch. I'd say, this is my first time on the site. Wish me luck! To all who are lost! Click the right hand side name that is gray! Not the username! I need key cause I want every f2p on the world(I see) to be p2p.I know it possible but you wrong,not thing is impossible if we work together. I love anime....oh yeah, and keys. nice anime and very cute hope you have a great day and u are so rich! hello.how to take the prize? Are you going back soon ? Dayum. Wish you were living nearby so I could do something funny with you :I I don't know anything against depression, really. How does it even work ? About what happend earlier, I'm sorry for calling it false. I shouldn't have acted immediately without knowing enough claiming it was false. Someone else called you false too in the comments before me and i asked a friend who was quite active(more then me) on this website and told me that you could see if a raffle was valse if you couldn't see the winner(which is not true hearing this from you) as i said i apologize for claiming that your raffle was false while you were being nice for raffling a key! Thanks for the raffle. All the best for you! Best raffle-side pic ever Kirino/10 PS : She asked him to go out with her omfg this is getting better and better ! can I have some object ? 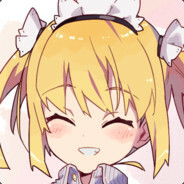 Dammit my friend, I just noticed your raffle, and I can't speak much about it since I don't know that, but if you ever need to talk send me a message on steam or here, whenever I am connected and I will give you some of my time. Good luck and stuff ! Woaw thank you very much for improving my anime list that much ! I love you. I never heard about Chuunibyou demo Koi ga Shitai!, Ro-Kyu-Bu!, Kirino Mosaic, Yuru Yuri and Nichijou before. I had a friend who was totally into Love Live (and yuri lol), but I wasn't intelligent enough to watch anime back then. I heard about Lucky(star)Star before, but only through references and gifs. I am currently watching NGNL (Shiro is top tier). About NNB, I spent a shitload of time on nyanpasu.jp and nyanpass.com, and I also listened to Dr. Nyanpasu and other 10 hours remixes for days. So that's it, thank you very much once again, you have all my respect and stuff ! if you have a cr account I can give you my guest passes. pm me on cr if your interested. How do I overcome awpers though? It seems as if they can hit me whether they're far away sniping or next to me quickscopes. I usually deal damage but not enough to kill them, but more likely than not die in a shot. Even if I know they're there but most of the chokepoints are guarded (by awpers). And my sniping skills are horrible. This is worse considering I played CS GO for almost a year already (ok I did take a break for quite a few months, but I have seem to gotten worse). Yeah I just couldn't see myself paying that much, hope it works well for you. I saw that when trying to buy one myself but didn't want to spend that much, what did you pay? The Pip-boy! That is a GREAT Cosmetic! I seriously NEED this for my Engineer loadout! Well my start worked I think. I am almost a 100% positive I got into every single one of the raffles and left a comment on each one. i think i saw what you did there in "I'm Back (Updates/Bday) " but i can't crack it soo many capitals... you think you can hint something? In my opinion, +reps are a bit pointless since of how people can usually remove them (not on this site luckly besides the Tf2r comment wipeout everywhere) and there are people with lots of pages of rep that ignore others and are not exactly a good person. Thank you either way for the thought and taking your time to write that on my profile, it is a nice conversation indeed on the raffle. I feel like you pay attention to me a lot. Lol you no like my beautiful crates? all 500+? Of course, of course. The main thing to be with unusual trading is patient. I assume you're trying to trade up to eventually cash out and buy a bunch of things? If so, then good luck. Oh wow!, it looks waaaaaaaaaaaaaay better than I was expecting but Imsurrpised you decided to took it as a directrequest :o, I suggest that as an idea cause I like Engineer and you were looking for ideas :). This looks SICK!. Todays i have won, wheres my item? ?? guess that counts as effort, but some people don't check tf2r regularly. Could you accept my trade offer please? Nice Raffle !!!!!! + Rep.
Ok. I'll be waiting for you. (Answering your Tour of duty question) You need at least 3 ticketds to complete a tour to get a Gold/Diamond botkiller (Mecha engine, and the Expert one). In one advanced tour you need 6 tickets, while the new one you need 4. The intermediate one you'll need 6 tickets to complete, but it is a good starting point for begginners. However, one ticket will allow you to complete one mission. The ticket will only be consumed IF you complete the mission. You don't need all the tickets at once, unless you want to complete all of the missions to finish a tour. If you have any other questions about MvM you can ask me, or if you need clarification. I'm not giving any personal advice.